Livia Firth, founder of the Green Carpet Challenge (the initiative that gets sustainable clothing onto the red carpet at Hollywood premieres) wants ethical fashion to be taken seriously. But more than that, she believes that the industry has a place around the table at climate change talks. In the week after a climate change march that saw 650,000 people take to the streets around the world to demand action, Livia pointed out that fashion has a pivotal part to play in helping that change to happen. "...it is a full spectrum industry. It extends from the farmers that grow cotton to the women beading in ateliers, it encompasses millions of people from agriculture to the creative marketing and selling. It is also dependent on the animal kingdom and some of the most fragile ecosystems on earth. Therefore fashion touches on every great environmental theme: climate change, declining available resources, lost wilderness, flooding, through to the flipside of flooding - drought. And of course, all of these are interconnected. But while human kind continues to treat fashion as a frivolous side line, it pollutes and squanders with impunity. In pursuit of selling fast and furiously, it can transgress ecological boundaries and leave social justice in tatters." There are some very important points to made here: Livia isn't just trying to hop onto a bandwagon. Fashion is a voracious consumer of precious resources. It takes thousands of litres of water to make one pair of jeans. It also consumes people by the million. Badly paid and treated workers are at the heart of the industry. By changing the way we make and consume clothing, we can take enormous strides towards a better, healthier world. Effective green legislation has to be at the core of that change, with government and business working together to ensure that big conferences like the upcoming G8 make the most of the limited time frame that's open to them. really are, and how important it is that future laws and action include the industry as part of the solution. Is It Time To Bin The Notion Of The Fashion Season? As the dust settles on London Fashion Week, it's worth considering a couple of aspects that, while not at the forefront of yer average fashionista's thought processes, did make the whole rigmaorale a little more interesting than usual. War On Want made the case for the unseen stars of the event: the garment workers that put together the clothes in the first place. With stunts like a huge banner across Waterloo Bridge and a solidly successful social media campaign, the ugly secret behind the glittering world of fashion--that it relies on underpaid and vulnerable employees--was much higher on the agenda than many big names would have preferred. If no-one was talking about the garment workers before London Fashion Week, they certainly were afterwards. The other discussion centred around an even more uncomfortable truth. Designer Carrie Parry dropped a bomb on the whole structure of the fashion calender in the pages of The Guardian. The seasonal cycle that big fashion events eulogises is a major factor in the industry's lousy record on green and eco-issues. Think about it. With two new collections out every year, the impetus is not on reducing consumption. It's about regarding the clothes you bought in the spring as somehow redundant, no longer worthy of consideration. By the time spring rolls round again, well, those are last year's colours, last year's cut. Time to start again. Even if you choose to donate or recycle the previous season's fashion, the focus is still on conspicuous spending, on filling your wardrobe with goodies. Frankly, it's not good enough. Whether it'll ever change is another question, bearing in mind that fashion's business model is based around this notion of seasonality. It would take a radical, almost revolutionary tear-down of everything that fashion, especially at the high end, stands for. 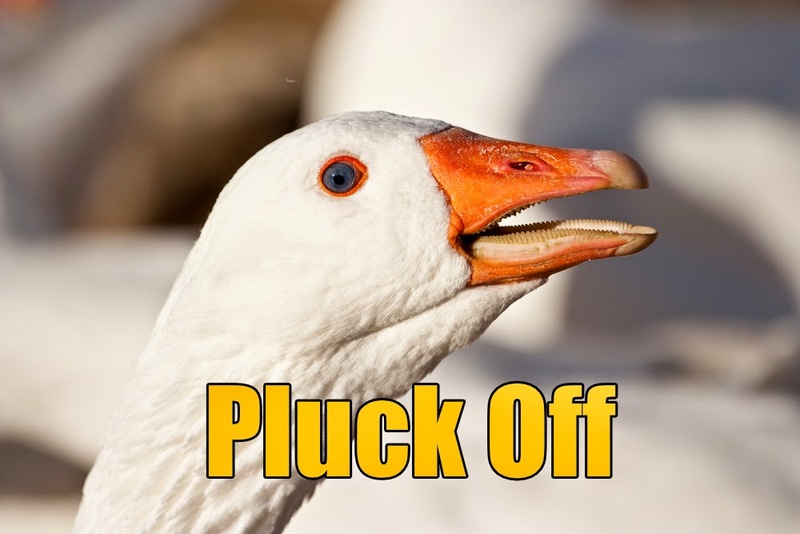 It's important to think around the box, and consider whether there are other ways to operate. Parry and others like her are questioning the system, refusing to book a place on the Paris, London and New York catwalks and instead using the funds to explore their supply chains. Personally, I'm a great believer in buying, say, a winter coat, and knowing it will last me for years. That, after all, is the thinking behind Pier Crush Vivienne Westwood's ethos of Spend More, Buy Less, Choose Well. I don't, I'm afraid, have an easy answer to this conundrum. But at least people are starting to ask the question. Here at The Pier, we're very proud of our association with Gildan. A top Canadian apparel brand, they provide some of the best-selling promotional wear items on the planet. But, more importantly, they have an ethical profile that's second to none. They regularly win awards for their efforts and solid performance on sustainability, waste management and social responsibility. WRAP and Sedex certified, Gildan show the rest of the sector how to do it right. After the honour of being included in the RobecoSAM Sustainability Index earlier this year, Gildan have managed to top that. Their Activewear has been included in the Dow Jones Sustainability World Index for the second year running. This is a major achievement, as the DJSI takes a best-in-class approach to inclusion. If you're not at the top of your game when it comes to your sustainability strategies, you're not getting in. Companies are selected after a comprehensive assessment of long-term economic, environmental and social criteria that account for general as well as industry-specific sustainability trends. Gildan are the only North American company to make it onto the DJSI this year, as part of the Textiles, Apparel and Luxury Goods industry group. This year's index launches on Monday. All of which tells you something about Pier32. The brands we supply are chosen very carefully to be high quality clothing, of course. But the ethos behind the brand is just as important, and Gildan are one of our best selling labels. We believe that's because their ethics are as good for the planet as their clothes are. Why not check out our wide range of Gildan clothing at the Pier32 site? And while you're in a browsy mood, take a look at the Gildan site and see just how socially responsible they are. Although David Cameron's notion of The Big Society appears to have disappeared down a big fat rabbit hole, there are those of us who still believe that its central concept--volunteers selflessly working together to make life better for everyone--is still a worthy enterprise. If you want an example of how that might work, look no further than the Games Makers at the London 2012 Olympics. An incredible bunch of people from every walk of life, united under a common cause, who managed to turn a brilliant event into an unforgettable one. That example still inspires many today, although the group in today's piece are actually old hands at the volunteering game. West Sussex have been using squads of volunteers to get the word out about recycling in the local area since 2008. The WPAs (Waste Prevention Advisors) can be found out and about at local fairs, fetes and festivals, and chatting to community groups. Their specialist education package Wastebusters sees the WPAs spread the good word in schools throughout West Sussex. Their message is simple: reduce, reuse, recycle. The volunteers have been trained in presentation skills and health and safety through resources provided by Sussex University, giving them the confidence to share the important message about how we can all do our bit to save money and keep their part of the country that little bit greener and more pleasant. Pier32 are in the mix too, providing the WPAs with polos, fleeces and rain jackets. The fleeces in particular fit the brief, as they're made from PET: recycled plastic water bottles. Looking good while spreading the word about recycling? It's something we do every day here at The Pier. Check out the dedicated website at www.westsussexwpa.org.uk, where you can find out more about the programme, and read their dedicated blog Ask Annie. If you need to know about composting, Annie's your girl. Pier32 supplied the WPAs with premium polo shirts from Fruit Of The Loom and Sirocco Windbreakers by B&C Collection. 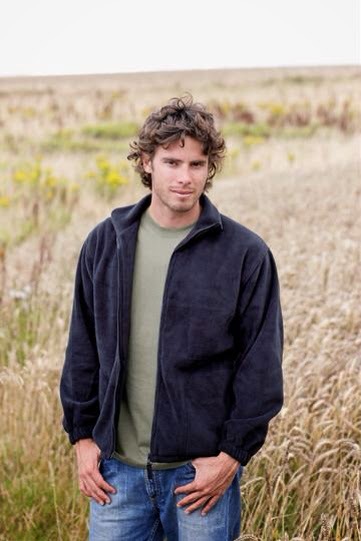 Our recycled fleeces, (pictured) made by Okarma, are made entirely from PET, a material created by shredding and reweaving the plastic from used drinks bottles. 44 bottles go into one jacket. If you want one example of recycling done right, this is it. Leather is, like it or not, one of the most environmentally unfriendly materials out there. Regardless of your opinions on the rights or wrongs of wearing animal skins (which is something that we as a species have been doing for a very long time) the tanning process is incredibly toxic to both the ecosystem and the workers who have to handle the chemical nasties involved. The alternatives aren't much better: pleather, made from polyvinyl chloride, is a plastic: just as toxic to make, and it doesn't allow the skin to breathe. There's clearly a gap in the market for a proper alternative to the ol' cowskin. Nike, Puma and Adidas have all expressed interest in the vegan, non-plastic material, and Wool hopes to move the development and manufacturing schedule up quickly. He's not alone: Puma have already made a pair of test shoes out of the eco-leather. There are still some problems to work through. The material is stiff, and stitching has a habit of breaking under tension--again, due to the lack of flexibility. Wool and his team are optimistic that these fixes will be completed soon. Those of us who can't or won't wear leather are, I'm sure, equally keen to see the material move into the marketplace. Back in June, Adidas announced that it was joining forces with Bluesign Technologies to audit the use of chemicals through its supply chain. Like most large clothing brands, Adidas has faced criticism in the past for using dyes and compounds that sit less than happily with the environment. Bluesign have made their name for their work in assessing chemicals in complex manufacturing processes, and suggesting alternatives that will have less of an ecological impact. The results of that initial consultation are in, and the announcement has caused eyebrows to lift across the eco and fashion comment-o-verse. Last week Adidas declared that they would only be using Bluesign-approved chemicals in its production lines worldwide. They will audit the white-listed chemicals that its suppliers currently use, then set tight deadlines to switch the remainder over to Bluesign's recommendations. Training in the implementation and use of these chemicals will also take place. There's a tight turnaround at the heart of Adidas' roadmap: they plan to be PFC-free by 2017. Many of the major sporting goods manufacturers are taking giant steps to change their game when it comes to environmental issues, but Adidas has to be one of the front-runners. After signing up to Greenpeace's Detox initiatve, they're on target to achieve full supply-chain transparency by 2020, with some key milestones, including the release of discharge data from 99 percent of its Chinese suppliers by the end of this year. This is all big news, and shows a major sea change in the way huge fashion houses do business. By pledging to make massive changes to the chemicals they use, and by being transparent about the way those changes are being implemented, they are suddenly ticking all the boxes marked "ethical fashion". Change is happening, and my goodness, it's happening fast.